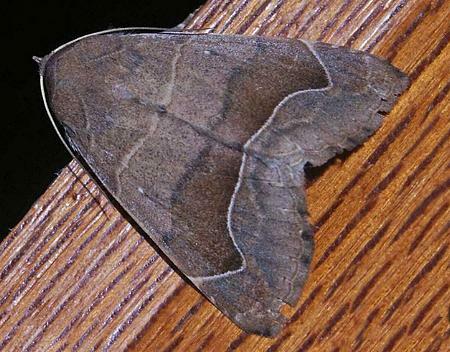 The adult moth of this species has wings that are grey or brown, with a curvy pattern on each wing. The wingspan is about 5 cms. Volume 27 (1903), p. 38. LeapFrogOz, Kuranda, 2015, p. 129.